One of London’s oldest studio providers is to throw open its doors to the public this month as it celebrates its 50th anniversary. SPACE, which runs 19 buildings across seven London boroughs, champions artists at all stages of their careers – from recent graduates to Turner Prize winners. For one weekend on 22-23 September, more than 200 of those artists will invite members of the public into their workshops for SPACE’s biggest open studios event ever. Visitors will be able to discover work by some of the country’s leading artists, and get a glimpse of life in a working studio. Painters, photographers, illustrators and designers will be on hand for a chat, and members of the public will be able to buy their work directly from the studios. SPACE’s chief executive Anna Harding said: “Our open studios are always lively, buzzing events, and this year will be our biggest ever. Studios that will be open from 12-6pm on the Saturday in Hackney include Belsham Street, Deborah House on Retreat Place, Martello Street and The Triangle near London Fields, Victor House on Richmond Road and upstairs at Stoke Newington Library. Sunday will see studios open at Eastway in Hackney Wick and in Tower Hamlets at Brickfields Road in Poplar plus Bridget Riley Studios and Britannia Works on Dace Road, Fish Island. 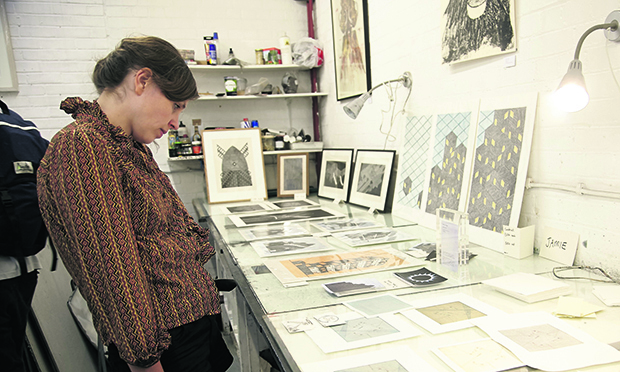 Further afield, Azof Street Studios will be open in Greenwich and Havil Street and Haymerle Road studios in Southwark. SPACE was founded by renowned British painters Bridget Riley and Peter Sedgley in 1968. The pair were two of the foremost proponents of Op art – a movement that emerged in the 1960s which involves the use of geometric forms to create optical effects. 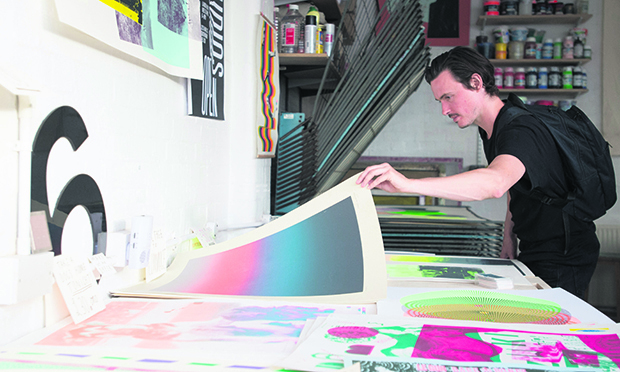 Their social enterprise is now the oldest continuously operating studio provider in London, offering creative space at below-market rent to over 800 artists. A further 700 are supported through a raft of programmes including bursaries, commissions and training opportunities to enable them to run sustainable practices. SPACE also engages 22,000 people a year though public programmes.